Announcing TEDxOrlandoSalon’s next meeting on Wednesday, August 6, 2014. Two TED Talk videos will be shown, each followed by a discussion break; the event program is determined by vote. TEDxOrlandoSalon meets every other month at Valencia College locations. A typical meeting draws approximately 50 smart, interesting, engaged people. Some will be regulars and some will be newcomers. Some choose to eat during the event, others choose not to. Two TEDTalk videos are shown, each followed by a discussion break. The event program is determined by vote, and discussions are open-ended. TEDxOrlando is a one-day conference featuring live speakers. Please stay tuned for details. TEDxOrlando and TEDxOrlandoSalon are about the exchange of meaningful ideas and deep discussion, not selling. Opportunities do sometimes result from contacts made at our meetings and we encourage that. However, we ask that you refrain from using TEDxOrlando or TEDxOrlandoSalon primarily as a platform for promoting yourself, your personal political or religious views, your business, or your organization. guest author: John P. Ehrig, FAIA, LEED AP, vice president, CASE project manager, HHCP/Architects Inc.
As a New Jersey transplant to the Sunshine State, I began my career in architecture at the University of Florida, graduating with a bachelor of architecture degree. I have been involved with American Institute of Architects for over four decades, first as a student and later serving in various positions throughout the Institute. In 1993, I became the youngest Florida architect to be elected to the AIA College of Fellows. After I moved to Orlando in 2000, I served as president of AIA Orlando in 2001 and that’s where the story about the 2+2+2 architecture program begins. 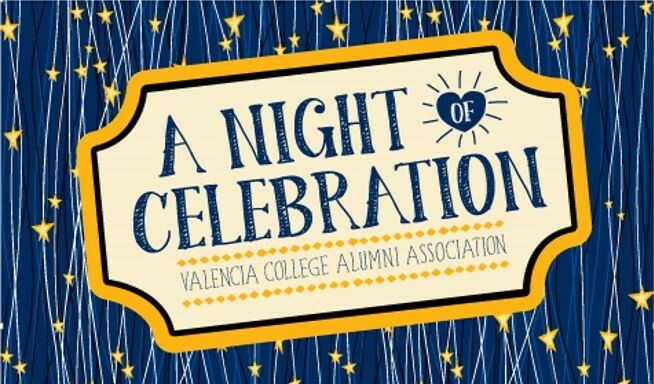 As background to AIA Orlando’s relationship with Valencia, in 2002, one of our members, CT Hsu, FAIA who was also a member of the Valencia Foundation board of directors, approached the chapter with the idea of joining forces in fundraising efforts to benefit both the chapter and Valencia Foundation’s scholarship program. As discussions unfolded, Valencia’s Geraldine Gallagher made a presentation to the AIA Orlando board of directors about joining forces and as they say, “The rest is history.” Over the past 12 years, AIA Orlando has been a part of generating over $240,000 for the foundation creating a strong connection between the chapter and the college. Central Florida architects had been talking about having an architecture school in Orlando for decades and the last big push was way back in the 1970s. At that time, creating a new school or program required legislative approval as well as approval of the Florida Board of Regents. In the fall of 2007, the AIA Orlando chapter, created an Educational Task Force (ETF) to spearhead this effort. During this time frame we discovered that Dr. Shugart was an “architect at heart.” I heard him say once “had he not gotten into education he would’ve wanted to be an architect.” CT Hsu and Alan Helman, FAIA, told Sandy about the work of the ETF in trying to get a professional degree program here in Orlando and he said he would try to assemble the right people to discuss the possibilities. 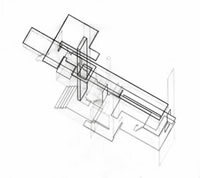 Around that time Valencia had worked out an “articulation agreement” with the University of Florida – School of Architecture where students would graduate with an associate of arts in architecture and would go right into upper division as juniors without skipping a beat. This was important to me because when I transferred to UF, I transferred in as a junior but I had to start over in all my design coursework. Ultimately it took me six years to get a five-year degree because of that “transfer gap,” something I did not want to see happen to students today. The articulation agreement was working and students that were graduating from Valencia were heading off to Gainesville and elsewhere. Everything was going along fine except the openings in the upper division for transfer students were dwindling year after year. Competition was exceptionally tough because of the program’s notoriety. So, the task force believed it was time for a creative solution. We knew the university wanted to increase their focus on urban design in their undergrad and graduate programs. The ETF also knew that UCF had indicated an interest in creating an architectural program in the past. So as things were starting to evolve the ETF developed a list of things that we wanted in a program and generated a formal White Paper. This paper included what the profession would do to help move this effort forward; like providing adjunct professors, employing students as interns in local offices and securing additional funding to support the program. We called Dr. Shugart and said, “Here’s what we’d like to do.” And he said, “I’ll set up a meeting in a couple weeks to see where this may go.” Then one day I got a phone call inviting me to a meeting consisting of people from UCF, UF and Valencia. On meeting day, Dr. Shugart made some opening remarks and immediately looked at me and said, “Okay John, you asked for this meeting, what do you want to discuss?” This was the opportunity and audience I needed to present the white paper and openly discuss the need for an architectural program in Orlando. The current scenario was a student would go to Valencia and get a two-year degree then they’d apply to UF or other colleges. They were accepted at major universities across the country and once they received their degree, they would very seldom return to Orlando. So our goal was very selfish – keep the talent here in Orlando. We wanted the ability for students to get an education here, complete their internship here and stay here to design their professional life in Orlando where they started. We knew that there was a really good working relationship between Valencia and UCF in several programs involving the DirectConnect to UCF program, so that was our roadmap. And if something could be worked out with UF to obtain a two-year graduate program that was all we needed for the professional degree. UCF became the critical link to what would be a unique architectural program with three separate institutions, hence the 2+2+2. 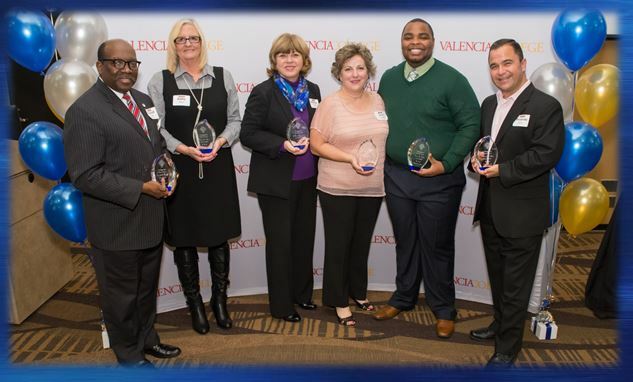 There are always up and downs in anything new but, the bottom line for the most part is we have the consistently strong Valencia portion with the first two years, we now have the third class of graduates from UCF, and this year we graduated our first class of UF students. Sixteen walked the stage in Gainesville on May 3 and of the 16 graduates, nine went through the 2+2+2 right here in Orlando. I know Sandy is a Christian leader and I appreciate his direction and passion in this entire effort. There are some things that we humans try to manage and manipulate to get what we want but, there are so many things that have occurred that I know are not “coincidences”. Too many things “fell into place” at just the right time for us mortals to take the credit for it. For instance the funding for the studio space in Building 9, the building of the UCF Joint Use Facility, UF’s support of the Orlando program, and the talented students that had the faith in signing up for a program with no previous track record, just to name a few. 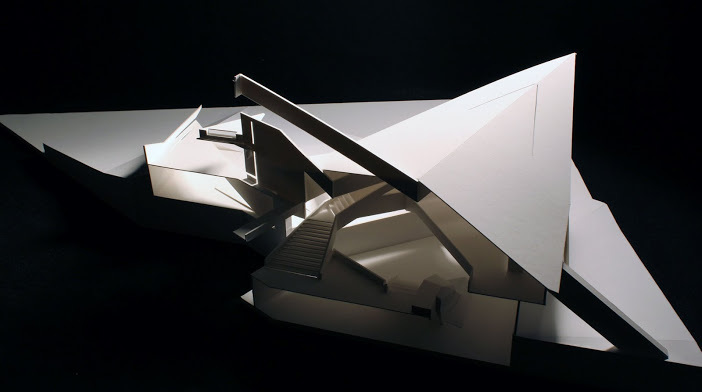 The Orlando architectural program is now a proven, new educational model. This year you have the special opportunity to support the 2+2+2 program through AIA Orlando’s 25th annual golf tournament June 20, 2014 at the Ritz-Carlton Orlando, Grande Lakes. Non-members can play for $175 and sponsorships start at $250. Here is a link to more information. 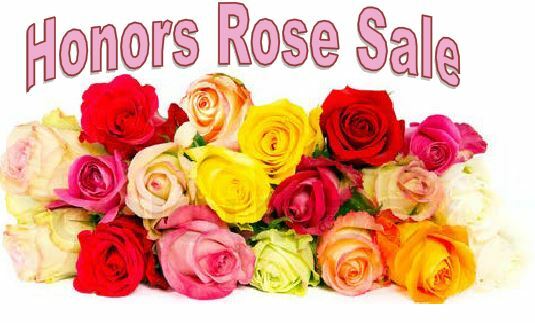 Student volunteers from the Honors Program will be working hard selling roses at Valencia’s Commencement this Saturday to raise funds to support the Association of Honors Alumni Transfer Scholarship. Donations to support their work and the scholarship can be made online . The State Board of Education on Tuesday approved Valencia College’s plans to create a new campus in Poinciana, paving the way for Valencia to begin the process of looking for a site for the new campus. Although Valencia College officials have been eyeing a possible Poinciana campus since 2003, the discussion began to gain traction this year, said Dr. Sandy Shugart, Valencia College president. “We have been looking forward to bringing our presence to Poinciana for many years,” Shugart said. When the campus will be completed depends on state funding, but college officials hope to get it added to the list of state-approved building projects. Plans call for securing a site by late spring of 2014. College officials estimate that the first phase of construction of the Poinciana campus will consist of one 60,000-70,000 square foot building, which would serve about 2,500 students. Eventually, the campus would encompass 150,000 square feet of classrooms and offices and would serve about 4,000 students. The new Poinciana campus will be Valencia’s sixth campus. The college currently operates four campuses in Orange County and one in Osceola County. Poinciana is one of the fastest-growing communities in Central Florida. Census figures show that the area’s population grew from 13,600 residents to more than 53,000 from 2000 to 2010. Currently, students who live in the Poinciana area must commute about 45 minutes during rush hour to reach Valencia’s Kissimmee campus. The commute takes nearly two hours by bus.